Gary Vaynerchuk. You might be familiar with the social media guru who has built business empires and is sharing his secrets of motivation and perseverance with the world, but until October, I knew very little about him. That was until I had my first in-person experience with the man and he left me with four key lessons that hit home for both my life and business. So today, I’m sharing them with you. His philosophies in content and communication style cater to the millennial audience (one which I can’t class myself as!) 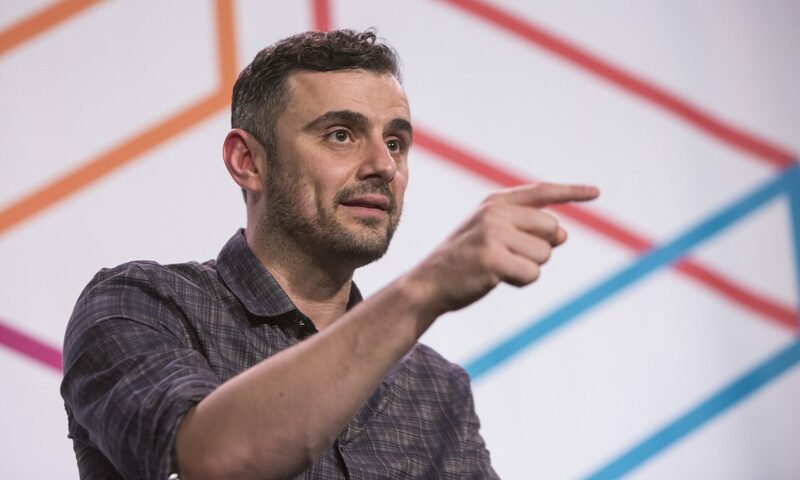 and I was faced with that truth when my 14-year-old son asked me if he could go and see the beloved Gary Vee when he came to Brisbane. We split the cost of his ticket (I needed to make sure he was committed to going) and we went together. This isn’t one I learn from Gary Vee, but something I learnt from the entire day. Gary Vee was on stage for about one hour and the other six were taken up by people essentially trying to sell “get rich quick” programs. They were well put together, they inspired, they caught audience attention and they united everyone in the room by making us believe we needed to commit to a common goal – to make money, fast. The thing is, once I took a step back from the enticing words and too good to be true claims about how their programs work, they became just that. Do you know an entrepreneur who got rich by doing nothing? I certainly don’t. After each session dozens of people would run to the back of the room and get in a line to hand over their credit card and sign up to something that was going to make them money. Was it an informed decision? No. Was it an influenced decision? Yes. How often do we make decisions without thinking long and hard about it? My son and I went outside to get some air and we decided to look into the people who had been spruiking the courses. I naturally went to Google and my son naturally went to social media. I found a series of negative reviews about these people and he found that they had very limited social media followings. We were both looking to validate these claims but measured very different things. It is so important that businesses recognise that different people will dig deeper and look for different things, so you need to cover your bases when it comes to your market. In today’s fast-paced, I want it now, world we could all do some good from digging deeper or sitting back and having a good think before we make decisions. Think about this: Could digging deeper help you make better business decisions? “We are constantly trying to limit adversity, but we have to have adversity to learn to overcome things. When we’re overcoming things and learning we’re growing, we’re happy. Without the challenge what’s the point? We won’t be happy.” When you face a challenge, what do you do? Do you take a moment and get frustrated about it? Probably – I know I do. What we should be doing is embracing these challenges. They’re the things making us smarter, more agile, more creative, more resilient and that are driving our personal growth. Happiness isn’t a destination because it’s a by-product of a journey. We need to accept the challenges we face in life and business and learn look at them objectively, appreciating the fact they really just opportunities to experience happiness. Think about this: Do you see challenges as a burden or an opportunity? “This is the greatest era of abundance. Everyone can have success and more so we have the opportunity to learn from other people’s success in a way which we haven’t ever before.” Gary pointed out that for too long we have looked at success as one big pie. If someone has enormous success, then there is less success to go around. This is simply not true. Success is available to everyone – or at least those who work hard. In today’s world, something he called the ‘era of abundance’, we have more opportunity to share and learn than ever before. We should be celebrating one another’s achievements and then asking how. If you’re someone who’s celebrating your own success, then you should be sharing how. The more we learn and share, the better we are and the better we will be. Think about this: When was the last time you learnt from someone else or shared with someone else? “It’s such a better life to speak your truth – especially when it comes with good intent and kindness… Even when it comes as tough medicine, it’s coming from a place where I’m desperate for that person to be happy or more successful.” Are you honest? When someone in your team is underperforming, do you avoid the tough conversations or do you have them? Do you explain your decisions with honesty? You should. It helps those around you to do better. It helps people to feel accountable for their actions. It can inspire them to do the same. Truth is respected, which is why someone who is honest and says it like it is, is one of the most important leadership traits. Think about this: When was the last time you gave someone feedback that was tough, but made them better? So that sums up the four things I learnt from a session with Gary Vee. Think about them. They are lessons we should take with us to live better lives and run better businesses.